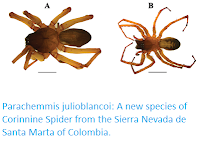 Sciency Thoughts: Cangoderces globosa: A new species of Telemid Spider from South Africa. Cangoderces globosa: A new species of Telemid Spider from South Africa. 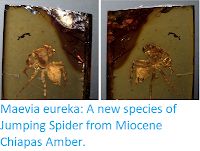 The Telemidae are a small group of web-building Spiders found in East and Southeast Asia, Australasia, North and Central Africa, southwest Europe and Africa. The group contains a high proportion of cave-dwelling species, but of the thirteen African species described only one is found in caves, Cangoderces lewisi from the Cango Caves of Western Cape Province, with all the remaining species found in tropial forests. 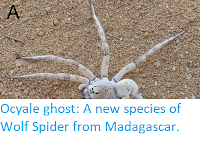 In a paper published in the journal African Invertebrates on 21 March 2018, Chunxia Wang and Shuqiang Li of the Institute of Zoology of the Chinese Academy of Sciences and Charles Haddad of the Department of Zoology & Entomology at the University of the Free State, describe a new species of Telemid Spider from Mpumalanga Province in South Africa. The new species is placed in the genus Cangoderces, and given the specific name globosa, meaning 'sperical' in reference to the shape the female spermatheca (receptacle in which sperm is stored after mating). 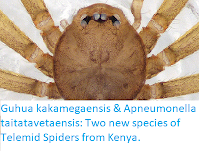 Males of this species reach 1.32 mm in length, with females being slightly smaller. 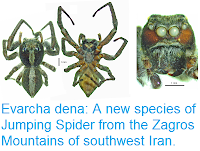 The Spiders are yellow on colour with six eyes and a blue abdomen. 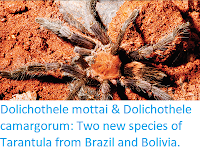 They were found living in leaf-litter in an Afromontane forest. 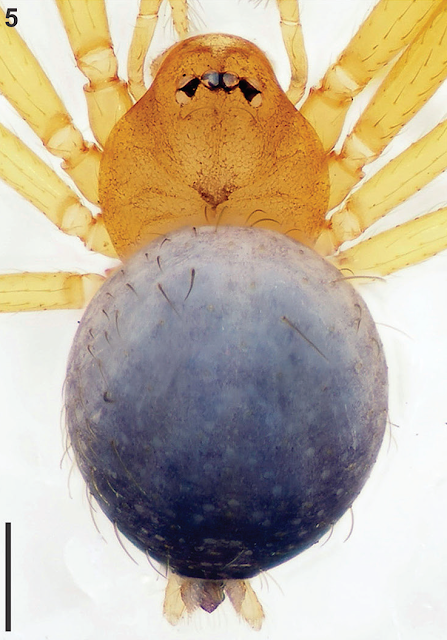 Cangoderces globosa, female specimen in dorsal view. Wang et al. (2018).